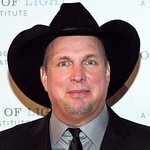 Friday afternoon, Garth Brooks visited the St. Paul campus of Children’s Hospitals and Clinics of Minnesota to dedicate the Child Life Zone — a therapeutic play area for patients, siblings and families. The Children’s – St. Paul Child Life Zone was made possible through a partnership with Teammates for Kids, of which Garth is co-founder. In addition to the therapeutic craft and play area, the Child Life Zone offers a gaming and media wall, a performance space for in-house TV programming, kitchen area for special events, and toys, books and games for all ages. To help children more easily cope with their hospital experience, patients visiting the Child Life Zone also receive support from Child Life Specialists trained to help with the psychosocial needs of children in the health care setting. Sibling play services are also offered to kids whose brother or sister is in the hospital. Teammates for Kids, which is made up of more than 3,900 professional athletes that share a common vision for helping children all over the world, focuses on helping children in the areas of health, education and inner-city outreach. The Child Life Zone at Children’s is the 11th zone across the U.S. sponsored by Teammates for Kids. “Being in the hospital can be a stressful experience for children and families, so it’s wonderful to have a kid-friendly, healing space like the Child Life Zone where families can relax and kids can be kids,” said Joy Johnson-Lind, MSW/LICSW, senior director of child and family services at Children’s. More than 100 patients are expected to visit the Children’s – St. Paul Child Life Zone each month, which is located on the third floor of Children’s St. Paul Campus, at 345 North Smith Avenue.